This week I read Fanny Hill. The forward says that by today’s standards the novel is not shocking. The reviewer’s usual occupations must be risqué indeed, as I found the novel quite scandelous and certain scenes very disconcerting. The language of this particular novel was poetic, and paints a more interesting picture beyond just stating the acts and emotions of the characters, (I found Sade quite cold and mechanical). The metaphors and imagery are creative and not too repetative (as I found in Lady Chatterly’s Lover). Cleland sheds equal light on both male and female forms and behaviours which is a welcome change to modern pop culture. 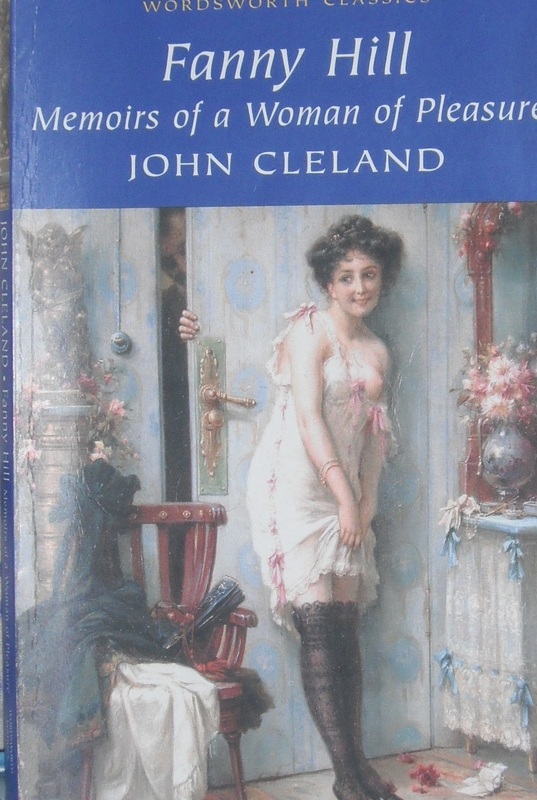 While many have taken the novel as hinting that Cleland was a homosexual, I found that it seemed quite the opposite. Not that it matters, just interesting how people read into things. There is a simple, strong plot and lovely ending. The short homosexual encounter I could easily tell wasn’t in the original; it is theorised this was a later addition by someone other than Cleland. I also found the recurring theme of virginity quite tiring by the end. I love the cover of my Wordsworth edition; an oil painting by Hans Zatzka (who does not have a Wikipedia page that I could find), ‘The Amorous Visitor’ (which isn’t on Google). The beautiful colours, the play between foreground and background, the way the artist capture expression of the faces of the subjects, and the innocent playfulness of it. The creator in me also loves all the lace, the paint-work, and decorative arrangements.